Transaero Airlines has announced that its interline agreement with WestJet has taken effect, offering Transaero passengers new opportunities for travel from Moscow. Via connections in Toronto and Los Angeles, Transaero passengers can now access the extensive WestJet network throughout Canada, the US, Mexico, the Caribbean, The Bahamas and Central America. LAS VEGAS, October, 2013 /PRNewswire/ — Transaero Airlines has announced today that its interline agreement with WestJet has taken effect offering Transaero passengers new opportunities for travel from Moscow. Via connections in Toronto and Los Angeles, Transaero passengers can now access the extensive WestJet network throughout Canada, the United States, Mexico, the Caribbean, and Central America. Now Transaero passengers are able to purchase tickets on connecting flights from Moscow via Toronto to destinations within WestJet’s route network in Canada, including Vancouver, Calgary, Edmonton, Montreal, Ottawa, Winnipeg, and many others. In the near future, in addition to WestJet’s domestic routes, Transaero will offer its passengers connecting flights via Toronto to many WestJet’s destinations outside of Canada such as Phoenix, Honolulu, Kailua-Kona, Kahului, Lihue, Los Angeles, Palm Springs, San Diego, San Francisco, Anaheim, Las Vegas, New York, Miami, Orlando, Tampa, Fort Lauderdale, Fort Myers,Myrtle Beach, Bahamas, Bermuda, the Dominican Republic, Costa Rica, Cuba, Mexico, and Jamaica. The agreement also provides the opportunities for connecting flights via Los Angeles with WestJet flights to Vancouver, Calgary, and Edmonton. Tickets on connecting flights of Transaero Airlines and WestJet are available at the airline’s sales offices as well as Transaero’s agent offices. Transaero Airlines is the second-largest passenger airline in Russia. Transaero launched its services in November, 1991. 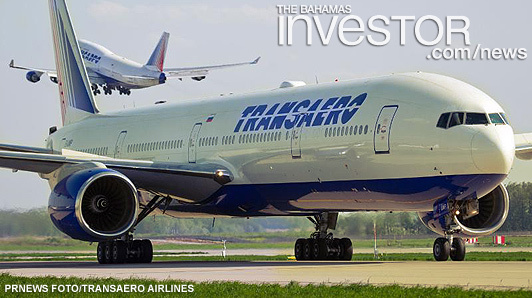 Transaero’s fleet consists of 100 aircraft, including twenty-four Boeing 747s, fourteen Boeing 777s, fifteen 767s, forty two 737s, three Tupolev 214 and two Tu-204-100C aircraft. Transaero has the largest long-haul fleet in Russia, the CIS and Eastern Europe. It is the only commercial carrier flying Boeing 747 passenger aircraft in the region. According to the German Jet Airliner Crash Data Evaluation Center (JACDEC), Transaero ranks among the top 20 safest carriers in the world. Transaero serves more than 190 routes in Russia, Europe, Asia, Africa and the Americas. Transaero is the winner of Air Transport World magazine’s Airline Market Leadership Award 2012 and has been named the World’s Best Improved Airline at the Skytrax 2013 Awards. 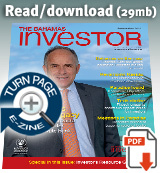 Transaero was voted the Best Airline in EMEA by Frequent Business Traveler, US online publication. WestJet is Canada’s most preferred airline, offering scheduled service to 87 destinations in North America, Central America and the Caribbean. Powered by an award-winning culture of care, WestJet pioneered low-cost flying in Canada. Recognized nationally as a top employer, WestJet now has more than 9,500 WestJetters across Canada. Operating a fleet of more than 100 Boeing Next-Generation 737 and Bombardier Q400 NextGen aircraft, WestJet strives to be one of the five most successful international airlines in the world. This year, WestJet launched its new regional airline, WestJet Encore. Connect with WestJet on Facebook at www.facebook.com/westjet. Follow WestJet on Twitter at www.twitter.com/westjet. Subscribe to WestJet on YouTube at www.youtube.com/westjet. Read the WestJet blog at blog.westjet.com. Chic Bahamas Weddings, a full-service wedding planning and design company in The Bahamas, has added the Turquoise Cay Boutique Hotel in Georgetown, Exuma, to its wedding venues.